Broaden your perspectives and expand your international alliances in the hospitality and tourism industry through “The Asia-Pacific Hospitality Management Program (APHMP)”! 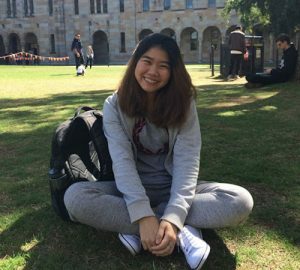 APHMP is an international exchange program formed among the undergraduate programs offered by Mahidol University International College in Thailand, the Chinese University of Hong Kong (CUHK) in Hong Kong, and University of Queensland (UQ) in Australia. Participating THM students will learn alongside fellow students from CUHK and UQ. As a cohort, the students will spend one academic term at each of the three host universities: the first trimester at MUIC, the second trimester at CUHK, and the third trimester at UQ. Interested THM students can contact Asst. Prof. Dr. Ka Tat Nixon Chen, Program Coordinator, for more information nixon.che@mahidol.ac.th. Application period: To join the APHMP program in studying at CUHK and at UQ respectively, please submit your application (outbound student application) to the Student Exchange Unit (Room 22004). Please visit our website on Outbound Students – Applications and Study Abroad Requirements for more information about study abroad requirements.